Last week, officers arrested Arthur Tiofilo Rocha, 40, a suspect in two recent sexual assaults in San Luis Obispo. In early July, a man sexually assaulted a woman at knifepoint after breaking into her home. Five days later, a man broke into another home in SLO and attempted to sexually assault a woman at knifepoint, but fled after the victim and her roommate resisted the assault. Evidence found at the second assault led police to arrest Rocha on June 1. On June 2, officers searched Rocha’s vehicle and his home on Dodson Way in Arroyo Grande and found woman’s undergarment,s jewelry and other items leading investigators to believe Rocha is involved in multiple residential burglaries. 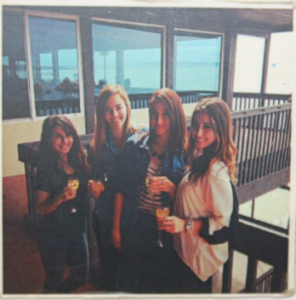 In addition, officers found several photos of young women including one that depicts four women standing outside on the rear balcony of what appears to be the Ventana Grill in Pismo Beach. Detectives would like to identify the women in this photograph and their relationship to Rocha. Investigators are asking anyone with information about Rocha or the women in the photo to contact the police department at 805-781-7317. And still no word from the other two “breaking news” sources in SLO. While the others headliner is about a with a pig with the flu. And who was it that you said was full of poo poo SLO?